Jess and Andrew are getting married in a couple of weeks and we finally got some time to do an Engagement portrait session. 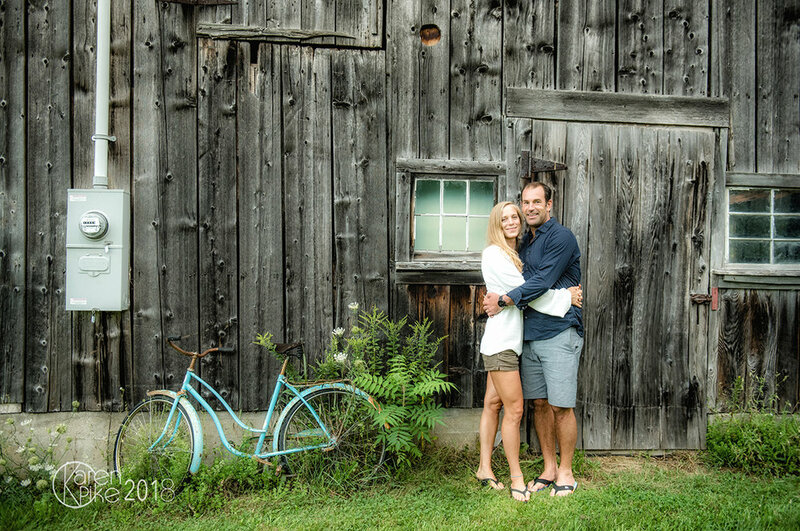 The couple lives in Stowe, so we took pictures at their beautiful home, a very cool barn and then the nearby Lake Mansfield Trout Club. Our original plan was to hike up Spruce Mountain, where the Jess and Andrew got engaged, but the fog came in and the view would have been less than beautiful. Not a bad plan B, as these settings perfectly represented this lovely couple. The wedding will take place on family property, in an open field, under the arbor that they just finished building out of twigs. Now in their back yard, it is a beautiful reminder of what's soon to come. We stopped to take pictures at an awesome barn and inside was a very talented print artist, who gave Jess and Andrew a small gift (below). What a perfect end to this E session for the couple. If you can stand 4 minutes of looking at this gorgeous couple, here's a slideshow of their Engagement session. The love just pours out of every image and I cant wait to photograph the wedding.